“Synergy”, the outcome when two or more items combine to create something greater than the sum of its parts. Generally considered a good thing. Several recent international trade developments show that synergy also can work in reverse. In this instance turning three separate obnoxious events into one seriously intractable problem. 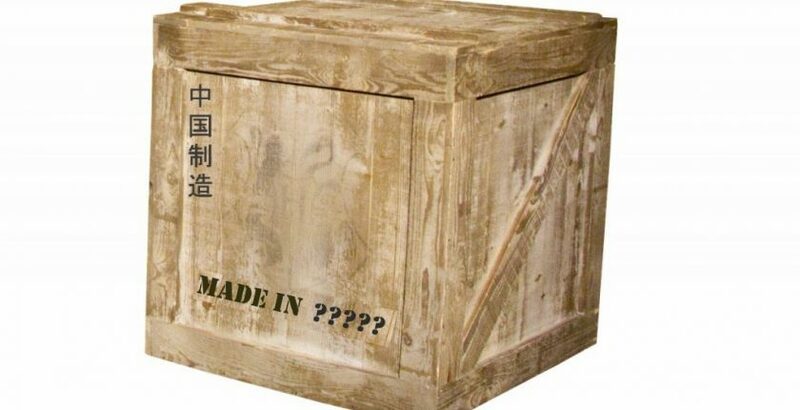 Everyone already knows about the first nuisance, the Section 301 tariffs on approximately $250 billion in merchandise of Chinese origin. The second, the restrictive view of substantial transformation adopted by the Court of International Trade in Energizer Battery, Inc. v. United States, 190 F. Supp. 3d 1308 (2016), may be less recognized. Both of these developments occurred independently. So at first blush they may appear to have little relationship to each other. Here’s where the “malicious synergy” concept kicks in. Importers’ and exporters’ natural reaction to the China-specific tariffs is to consider moving production from China to a third country. To the extent that the relocated operation involves assembly of Chinese-origin parts. The Energizer decision could pose a problem to escaping the duties. Articles of one country used in production operations elsewhere must undergo a “substantial transformation”. Becoming a “new and different article of commerce with a name, character, or use distinct from that of the article or articles from which it was so transformed,” to qualify as a product of Country 2. If not, they remain products of the first country. Thus, the ability to avoid the Section 301 duties by moving production operations from China will only succeed if there is a substantial transformation of Chinese-origin materials in production activity conducted in another country. Energizer’s gist is that assembly operations which fail to change the name, the character or use of the constituent parts. Means they retain their initial origin despite their incorporation in a finished product. U.S. Customs and Border Protection, which advocated for this restrictive approach, has begun applying it in administrative rulings. Thus, in Ruling HQ H280619, the components of a network tap failed to undergo substantial transformation, for government procurement purposes, through an assembly operation. More recently, in Ruling N301213 (Nov. 3, 2018), CBP extended the Energizer reasoning to general country of origin determinations. It concluded that assembling a tape drive housing with an incorporated tape drive in the Netherlands or Germany did not constitute a substantial transformation. The origin of the tape drive, China, applied to the entire assembly. Now here’s the third contributor to our China duties nightmare. The origin of goods produced in Mexico is determined using the NAFTA Marking Rules which establish a different standard than substantial transformation. Thus, it would seem that an assembly operation in Mexico could not run afoul of the Energizer hammer. It might serve as a way to produce articles that avoid the Section 301 duties. CBP put paid to that idea in Ruling HQ H301619 (Nov. 6, 2018). The products in question, electric motors classified in Harmonized Tariff Schedule of the United States heading 8501, Were to be assembled in Mexico using Chinese-origin components classified in heading 8503. The applicable marking rule provides that an article gains Mexican origin when foreign-origin materials undergo “[a] change to heading 8501 from any other heading.” In that scenario, the finished motors qualified as products of Mexico for marking purposes, as the applicable tariff-shift rule had been met. It’s clear that Energizer and the CBP rulings applying it will severely limit options to get around the Section 301 duties by assembling Chinese-origin components into finished products outside of China. Even Mexico and Canada, natural places to consider for third-country assembly operations, are not exempt. The CBP rulings and Energizer all recognize that “complex” assembly operations may qualify as a substantial transformation. Factors in determining “complexity” may include; the number of components to be assembled, the level of skill involved, and length of time the process takes. As a result, the use of some non-Chinese origin components may also mitigate Energizer’s impact. As well as, importers seeking third-country options to elude the Section 301 tariffs must. Be mindful of how all three of the strands covered can work together. Click here to read more about Tariff Classification class. Hence, consequently, therefore, because, so, due to. For the reason that, because. So, due to, for the reason that, above all.